When I was a kid, one of my favorite movies was The Dark Crystal. It was this beautiful world filled with creepy creatures, with things presented in a very matter-of-fact kind of style. The film didn’t talk down to me to explain things, just presented the world as it was and let me keep up on my own: Of course she can fly—she’s a girl. Gelfling girls have wings. As it was said to the main character as if he should have known, so too was it presented to the audience. The villains, the Skeksis, were creepy in the most delightful way, and the whole concept of the world was so well put together that you could just tell there was more to the story than what you saw in the movie. Of course, since there was nothing else but the movie, I was stuck with that knowledge that there was more, but no way to get to it. 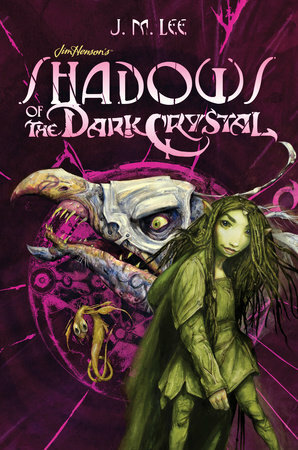 Until, that is, I was offered a chance to review Shadows of the Dark Crystal, a new official Dark Crystal book by Minnesota writer J. M. Lee (with artwork by Brian Froud and Cory Godbey). This story takes place in the world of Thra but is set before the movie. It follows Naia, a Gelfling girl, as she travels through the world and to the crystal itself. Cleverly, Naia does not begin the story with wings. She is just on the cusp of adulthood (as are so many protagonists in the genre), and her wings have not come in yet. They’re on their way, but she will have to overcome other problems without them before they become available to her. She travels from her own village of Gelflings across the world, finding the problems that will come to a head in the movie but now are just beginning to be understood. The story itself is what you would expect: a pretty classic journey across a strange land, filled with legends that turn out to be more real than legendary, companions that are more than they seem, and desperate actions with far-reaching consequences. An entertaining story, and an easy read. But that’s not the most important thing about this book. The most important thing about this book is that it fits. It fits into the movie, it fits into the world. And, like the movie, this book doesn’t stop to explain things. There’s a glossary in the back, but everything is presented as just something you should know, with no need for long-winded exposition. It all makes sense as you go along, the All-Maudra starting off as a nebulous term and becoming one that makes total sense by the end of things. Lee never talks down to the reader—he brings you along for the ride, letting you figure things out with contextual clues, and just keeps the story going. This allows you to sink into the adventure, to follow Naia’s understanding of the world and just get lost in the setting of Thra. 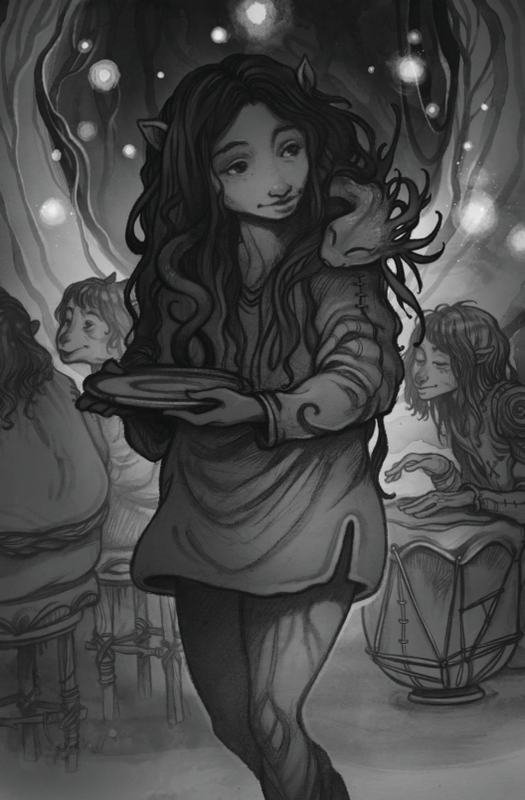 We experience her culture shock with the Skeksis lords, her otherness when she spends time with other Gelfling clans. And when she finds the disharmony in Thra, we get to experience it with her. The Dark Crystal has always been a story about a world out of balance. But in Lee’s hands, there’s a definite parallel between Thra and our own world and climate change. The harmony of the world is off, and it will take more than just the corrupt government officials to make things better—it requires understanding, compassion, and an attempt to really put things right. This is more subtle some times than others, but the message is strong through the book, and it’s a great message. I can’t recommend this book for its story. In all honesty, the structure is pretty standard, filled with most of the tropes of the genre. But it’s a good story; these tropes became what they are because they work. It’s an easy read, one you don’t have to work hard to follow. But really, that’s not the point. The story isn’t why you should read this. You should read it because of the world. Lee creates a world you can walk around in and get some mud between your toes. He creates a world of the childlike innocence of the Gelflings being battered and broken by the absolute corruption that has long since taken the Skeksis and is starting to work on the world itself. He creates a world that is in pain, but one that can be fixed. A world where even at its darkest moments, there is still hope. We only get to see the first part of Naia’s journey—the first part of her battle to maintain her innocence and her efforts to reach out and make the world a better place. 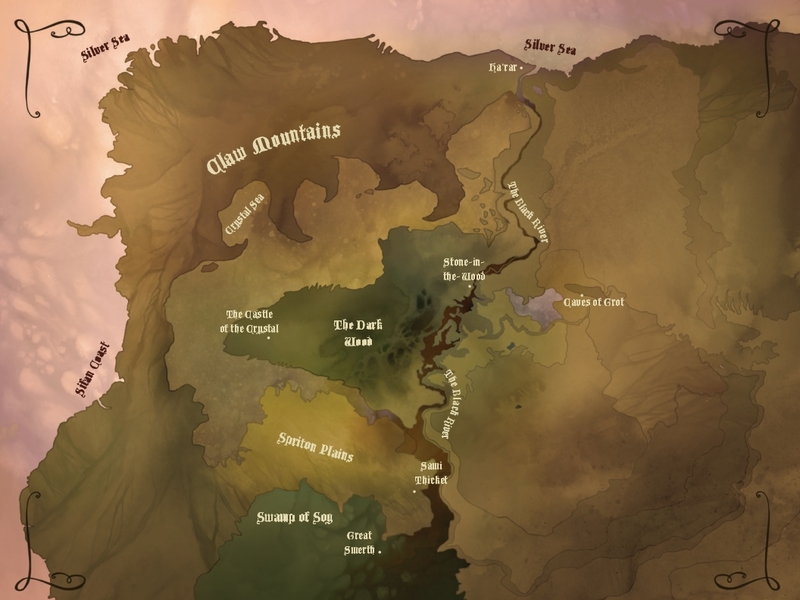 There’s more to come, and if this book is any indication, it’ll be more of a chance to get to know Thra, more opportunity to walk around in the world of The Dark Crystal, and well worth the read. Shadows of the Dark Crystal is available online and in stores, and you can read an excerpt of the book online via Nerdist. Red Balloon Bookshop in St. Paul is holding a launch party with J. M. Lee at 6:30 p.m. on Friday, July 8, and you can also find him at CONvergence 2016. Lastly, don’t miss our recent interview with the author to learn more about his writing process for this book! Joe writes too much, and he isn't sorry. He respects all things geek and nerdy and promises not to judge others based on what makes them happy. There are no guilty pleasures: if it makes you happy, it's good—as long as it isn't hurting someone else without their consent!